We believe it is important for children to participate in Worship with their families but also recognize the importance of them receiving a lesson on their level of understanding. Children will benefit from participating in singing and experiencing the first half of the Sunday Morning Worship service. Ages up through 1st Grade will go to Children's Worship the last half of the service where volunteers will teach a Bible lesson with age related activities. The Children's classroom is close to the sanctuary and has a large window where families can check on them at any time. Who are missionaries? What do they do? 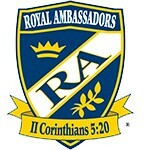 Royal Ambassadors gives the news of missionaries working for Christ from all around the world. Adding games creates a fun time of learning and connecting with other students. RA's participates in yearly events, such as the Royal Racer Derby Race, in which they build their own race car. Check schedule for meeting times. 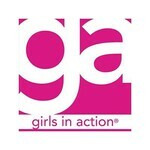 Bonding together with other girls, learning about God's servants who teach about Jesus everywhere, participating in mission projects, earning GA badges is what makes Girls in Action a wonderful place to be! Girls participate in a variety of learning experiences, such as sampling food from other countries, where missionaries work or making a craft from that culture. It provides an environment that teaches about the need for others to hear about God's love for them and encourages the girls to be involved in telling about Jesus. Check schedule for meeting times. Participating in the work of the church and supporting missions.